MOVE IN READY, CONCRETE BLOCK HOME IN DESIRABLE SOUTH HAMPTON. ENJOY ALMOST 4000 SQ. FT OF LIVING SPACE WITH 5 BEDROOMS, 4 FULL BATH HOME, WITH DOWNSTAIRS OFFICE, GAME ROOM ON MAIN FLOOR AND 2ND FLOOR DEN. THIS HOME HAS A VERY OPEN FLOOR PLAN WITH THE MASTER SUITE DOWNSTAIRS AS WELL AS AN IN-LAW SUITE WITH SEPARATE BATH, AND 3RD BEDROOM WITH FULL BATH / POOL BATH. HARDWOOD FLOORS, CROWN MOLDING AND PREMIUM CEILING FANS INSTALLED IN 2015. NEW LAWN IRRIGATION AND FENCING INSTALLED IN 2016, CERAMIC TILE IN KITCHEN AND OUTDOOR KITCHEN INSTALLED IN 2018. FRESH PAINT ON ENTIRE 2ND FLOOR IN 2019. CAT 5 WIRING INSTALLED FOR FUTURE SMART HOME INSTALLATION. MULTIPLE FRUIT TREES IN BACK YARD. PLENTY OF ROOM FOR A POOL!!! NO CDD FEES!! This elegant golf course home is a dream. 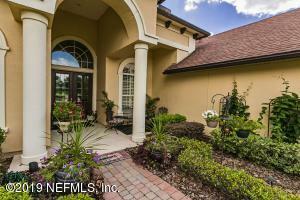 Enter into the foyer to soaring ceilings and a formal LR and DR. 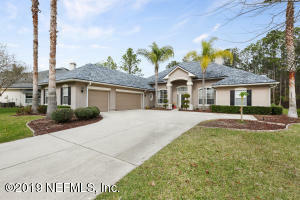 The heart of the home is the FR/Kitchen with 2 story ceilings and a wall of windows overlooking golf course. Kitchen has been customized with quartz counters, dble ovens, gas cooktop, center island and breakfast bar as well as a breakfast nook Office has a built in custom wall unit. Private master bedroom wing overlooks GC and master bath is spa-like with raised tub, glass block shower, quartz dbl vanities. Master walks out to scr. lanai. Upstairs is a sep bedroom, with open loft and full bath.Perfect as a guest suite. Plantation shutters thruout. Home Warranty. 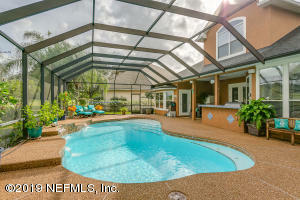 The distinctive and luxurious features of this home will not disappoint.Room for a pool. 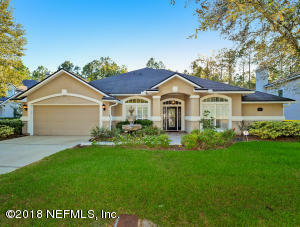 **Luxurious, turn key home with new roof sitting on over 1/2 acre of land in the quiet golfing community of South Hampton. **The kitchen is a chef's dream with high-end stainless steel appliances, spacious granite counter tops, and plenty of storage space. **Elegant master bathroom with dark wood cabinets and a double vanity. **Private backyard is fenced on each neighboring side and backs serenely to a wooded preserve. A built-in dry bar, covered patio area, and a pool with a hot tub makes this the perfect place to relax and enjoy being home. **This peaceful escape could be your forever home. Come and find out for yourself! 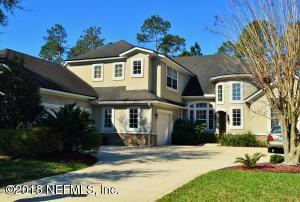 Large Estate Home 4 bedrooms 3.5 baths downstairs. Upstairs bonus room with Bathroom and an additional bedroom with ensuite bathroom. Crown moldngs, wainscoting. Handscraped wood floors. Private Preserve lot Plenty of room for a pool. Walking distance to amenity center and bus stop. 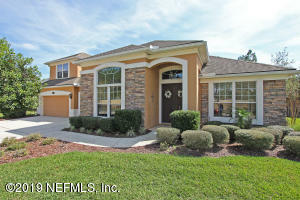 Porcelain Tile,42'' kitchen cabinets, gas fireplace, water softener, screened lanai, Low HOA fees NO CDD fee. Oversized 3 car garage. SOARING CEILINGS AND OPEN LIVING SPACES greet you as you enter this stunning South Hampton home! There are 3 bedrooms, 3 full bathrooms, and an office (possible 4th bedroom area). The master suite is extensive, with lots of closet space and access out to the covered patio area. The gourmet kitchen has lots of cabinets and beautiful granite counters. Outside beyond the back patio there's a huge yard with lots of space and privacy, and above the 3-car garage is ample storage space. 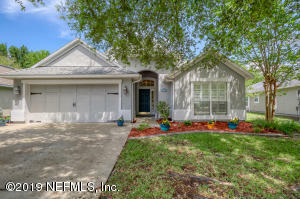 Come see this light, bright, & welcoming beauty in the very desirable neighborhood of South Hampton in NW St. Johns County. This 5/4 has Hardwood floors throughout and new interior and exterior paint. Floorplan has wonderful use of space, and includes Bonus room upstairs with full bath, 2 bedrooms with a jack and jill bathroom, and a separate bedroom/bath to use for guests or flex area. Even a separate office compliments this home. HUGE, private fenced in back yard for endless fun. Don't miss your chance to get in this great neighborhood!! As an added bonus this neighborhood has no CDD fees! 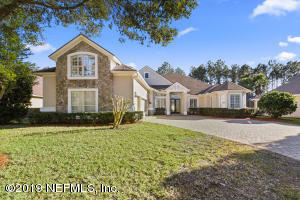 This St Johns County beauty is not only a golf community but does not have a CDD. 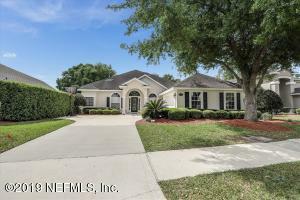 You will not want to miss out on seeing this amazing 4 bedroom 3 bath home. 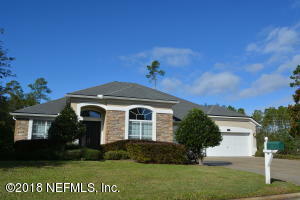 It is located on a cul-de-sac and a nice preserve lot that offers a great amount of privacy. Walk into this freshly painted home and through the grande foyer to the open and airy kitchen and living space with a separate dining room. The kitchen is quite large and offers solid countertops with an island and breakfast bar as well as eat in space. The massive kitchen opens up to the family room so everyone can enjoy each others company. The formal dining is large enough to fit an 8-10 person table and its light and airy surrounded by windows. An additional added feature throughout the home is plantation shutters on the windows.